Meditation is the practice of training the individual mind to induce consciousness. It is a state of mind in which individual acknowledges the content, i.e. memories of the past or ideas for the future without being identified with them. Once an individual removes the limitation of the past and future, he/she can achieve the balance of psychological, physical and emotional state. Dr. Joan Borysenko, a leading researcher in the field termed meditation as ‘Pleasantly anchored in the present moment’. Meditation is a type of mind & body exercise. It actually refers to a number of techniques that promotes relaxation, helps in building internal energy and induce compassion. It also helps in attaining physical and mental calmness, enhancing health and treatment of diseases. Meditation is the art of attaining mental discipline to get afar the impulsive mind into a deeper state of calmness and relaxation. There are numerous meditative principles that emphasize on different psycho-physical and spiritual practices with several goals like the attainment of higher consciousness, increasing focus, self-awareness, creativity or just a peaceful mind. Ayurveda treats mind as an atomic element consists of three qualities known as Trigunas which are; Tamas, Rajas and Sattva. The whole concept is quite similar to Vata Dosha as it is very unstable and fast. It can navigate from past to future in a fraction. The turmoil in the mind makes a person restless and a calm, composed mind is the budding ground for creative work and healthy body. What do we need for meditation? It is always good to have a calm and quiet location. The comfortable posture is also important as it allows you to focus on one thing at a time. Try to focus your thought on one thing or object, don’t let your thought wander and try to concentrate on this one object/goal. Which time is perfect for meditation? The best time for meditation is early morning before sunrise. This time is known as Brahma Muhurta in Ayurveda. At this time nature is completely quiet and there is no disturbance or noise. To meditate, sit calmly in a comfortable position and close your eyes, think of any object and try to concentrate all your thought on the same with your incoming and outgoing breath. At first there will be thoughts coming from all directions, allow your mind to wander. Slowly the thoughts will start decreasing and your mind will become quieter and will reach a stage when there will be only calmness and quietness in the mind. It facilitates on usage of one’s own breath, a picture or sound to quieten the mind. Ayurveda and Yoga both believe in a strong connection between one’s breath and mind. A calm mind facilitates slow, regular and deep breaths. When your mind focuses on breath it easily gets absorbed in the rhythm of your breathing pattern. This is one of the prominent Buddhist meditations. It allows you to acknowledge the contents around you like images, thoughts, sound, smell, etc. without getting identified with the content. The person practicing this sits quietly and lets the mind wander without reacting to the content. This type of meditation has origins with Lord Krishna. There are also references of this type of meditation in Buddhist works. 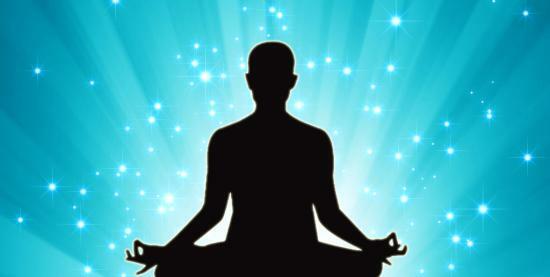 The knowledge of meditation was passed on for ages from Shankaracharya to Brahmannada Saraswati. But it was Maharshi Mahesh Yogi, who made it famous worldwide. It is based on sound meditation and each person is provided with a beej mantra according to his/her thought. This meditation uses the natural sound that is produced during breathing process. Once a person started concentrating on the sound of his/her breathe, slowly the mind starts to become more and more focused. This meditation practiced was taught by Buddha. The word Vipasana actually means to see things clearly. This meditation aims at cleansing the body and mind by removing toxins and impurities. In this meditation, a person is asked to maintain complete silence for a week and search for the inner soul. This meditation allows you to relax your body and open your mind to discover your inner self. After days of practice you will be able to reach a meditative state where your heartbeat will slow down and your breath will become shallow. Thoughts will be quarantined and you will be able to concentrate consciously on the current moment.